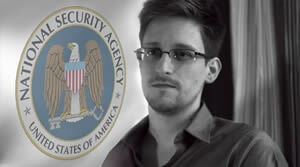 Edward Snowden is a former American NSA employee. Edward Joseph "Ed" Snowden is an American computer specialist, a former CIA employee, and former NSA contractor who disclosed up to 200,000 classified documents to the press. He is considered a fugitive by the American authorities, who have charged him with espionage and theft of government property. Born in North Carolina on 21st June 1983, Edward Snowden grew up in Elizabeth City. Two years after dropping out from his community college, Snowden landed a job with the National Security Agency in Information Technology Department. By 2009, he left the agency to work for private contractors. During his work in Booz Allen Hamilton, a tech consulting firm, he was shipped off to Japan to work as a subcontractor in an NSA office before being transferred to an office in Hawaii. It was here, in Hawaii, that Snowden made a life changing decision. While working at the NSA's Oahu office, Snowden began noticing government program documents involving the NSA spying on American citizens via phone calls and internet use. The documents contained vast and damning information on the NSA's domestic surveillance practices, including spying on millions of American citizens under the umbrella of programs such as PRISM. He collected all the information and left his job to fly to China. On June 6th, the Guardian and the Washington Times released Snowden's information on PRISM, an NSA program that allows real-time collection of information on American citizens. This caused a flood of information to flow. Ever since the leaked information the American people, the international community and the U.S. government have since been scrambling to either hear more about it or have Snowden arrested.